Parents have long known that encouraging children to read and write at home can have a positive impact on their academic performance and literacy. Now, new research finds at-home literacy activities can also instill kids with tools for lifetime success. According to a paper from the University of Washington, children who read and write at home build long-term study and executive function skills -- such as goal-setting, time management, and impulse control -- that will come in handy for the rest of their lives. "People who are good students tend to become good employees by being on time and putting forward their best work. All of the things that make you a good student also make you a good employee," said lead researcher Nicole Alston-Abel. "If you make sure your child is academically engaged at home through third grade, kids go on autopilot -- they know how to 'do' school after that,” she added. Alston-Abel conducted the five-year study alongside Virginia Berninger, UW emeritus professor of education. The researchers drew their findings from annual questionnaires asking parents of elementary school-aged children if, and how, they helped their kids with reading and writing. Alston-Abel compared the responses with students’ performance in school. The findings revealed that students spent significantly more time at home reading than writing. Given the choice, kids were more inclined to choose reading as an activity over writing. Parents tended to offer their children more help with writing activities. While there there was no direct link between questionnaire responses and student achievement, patterns did appear to surface. The researchers found that parents’ rating of their child’s ability self-regulate (i.e. stay on task and exhibit other study skills) was associated with academic performance, especially in reading comprehension and written expression. The study's findings suggest there is a need for parents and teachers to work together in a collaborative fashion to boost student success and hone study skills like time management and impulse control, said Alston-Abel. 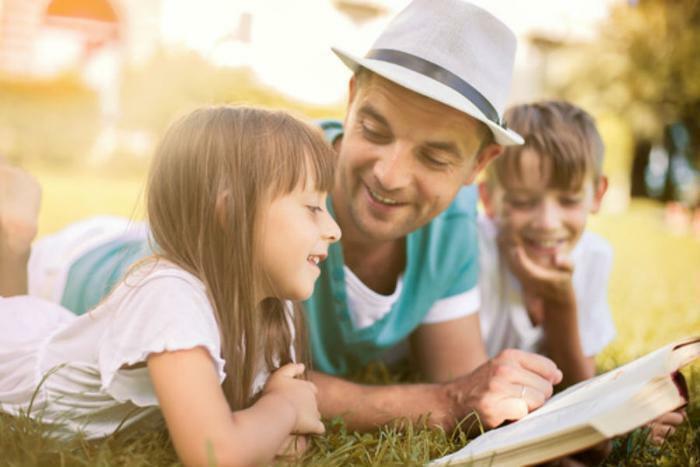 Parents can help their children build literacy and study skills through reading and writing by encouraging them to keep a journal, write a story to a family member, or send an email or thank you note. Additionally, encourage them to read or write for fun whenever possible. The study authors recommend focusing on areas or subjects your child could use some extra help, such as spelling or reading comprehension. Scale back your level of assistance when your child seems able to accomplish them more independently. "Academic success is an all-hands-on-deck enterprise," Alston-Abel said. "Teacher, parent and student all have a part to play. Fostering home-school partnerships that enhance and extend the experience of the learner can lead to lifelong habits that foster success." The study published online in the journal of Educational and Psychological Consultation.